What images come to mind when you think of a disaster? The typical images we see in the media often misrepresent the reality that the vast majority of people are rescued and helped by their fellow community members after a disaster. 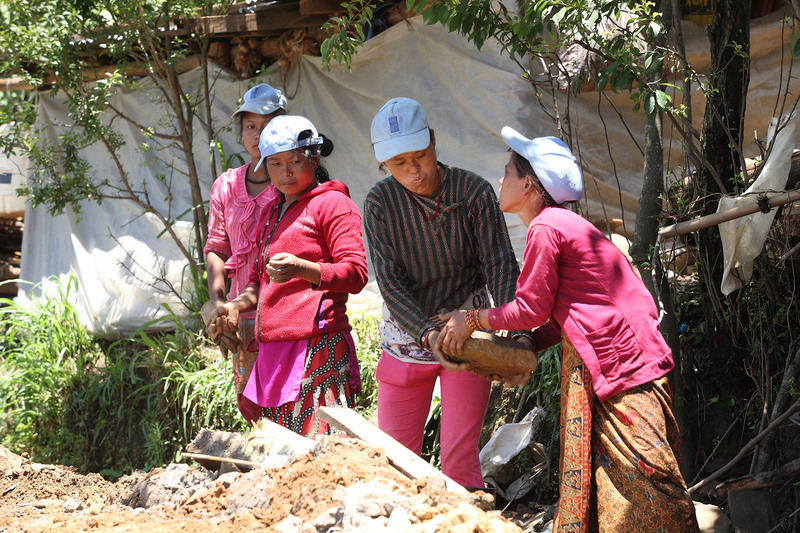 In this blog piece, Ms. Margaret Arnold from the World Bank argues that women are often the architects of community resilience, and that empowering women is critical to ensuring that community-led disaster responses are strong and effective. Volunteers rebuild communities in the aftermath of the earth in Nepal in 2015. Researchers have documented the effectiveness of community voluntary groups that spontaneously self-organize after disasters, noting the need for outside aid providers to not undermine local resilience. Women are often the architects of community resilience, and empowering women is critical to ensuring that community-led disaster responses are strong and effective. For example, in pastoral communities of Kenya and Ethiopia, the provision of capacity-building support to women’s savings and loans groups improved livelihood diversification and helped communities better manage the risks associated with the 2005– 08 drought cycle. In Nepal, grassroots women’s organizations are upgrading settlement infrastructure to reduce disaster risks, participating in multistakeholder dialogue and collaborating with the local government. The resulting credibility has earned women’s organizations public roles in emergency preparedness and seats on committees that allocate resources for disaster risk reduction. These are two examples in a body of mounting evidence that women’s empowerment is key to the resilience that leads to effective local responses to disasters. They also demonstrate the value of recognizing communities not as project beneficiaries but rather as partners who can set priorities, influence policies, and act and react in ways that are responsive to community needs.